Hello there! It's been a while.....AGAIN. I have not been very consistent recently with my blog posts and I am sorry for that! I really do miss it and plan to get back into posting in full swing this year. I wanted to share with you all why I have been MIA recently and figured while we are on the cusp of the New Year, now would be the perfect time. I have wanted to share a little more in depth about my personal journey over the last few years. I usually don't do this but it has really been on my heart lately. And maybe, just maybe it will help or relate to someone out there going through the same thing. ****Disclaimer: This could be a little long. You have been forewarned. In 2010 at the fresh, young age of 18(4 weeks after I turned 18 to be exact), I was married to my handsome husband. We were young, in love and beyond excited to start our life off together. Kids were not in the picture at all as we wanted to focus on getting to know each other before we started that journey. You could ask any of my family or friends and they would tell you, I was dead set against having them. I wanted a career and kids did not fit into that picture in my head. Well life does not always go as one has planned in their head. And it did not go how I thought it would either. Surprise, surprise! In late April of 2012 after weeks of feeling off, and having head aches, my hubby finally convinced me to take a pregnancy test. Against my will I might add. I fought him the entire time about taking it. I knew there was NO way I could be pregnant. I was on birth control and it was not anything we were trying for. When I saw two pink lines show up, I think my heart stopped. I was in shock to say the least! I went from shock, to awe and finally to full blown excitement after a few hours of looking at that little test. I could not comprehend it. I was a mom! I had a little life growing inside of me. The weight of what that meant settled on me and so many emotions came over me. I am very prolife and even though that little one was not planned, I knew he or she was meant to be in our lives. The instant heart connection I felt with this little one inside of me blew me away. I went into full blown planner mode. I got all my doctors appointments lined out, started looking at baby items, started planning the nursery, and talked names with my husband. We announced the exiting news to our family and then to the world on social media. We could not hold our excitement back! Then one evening about a week or so later my happy world was shattered. I started spotting. I was panicked, scared and didn't know what to do. My doctor told me to come into see him in the morning and to try too lay low the remainder of the night. The spotting turned into heavy bleeding and cramping throughout the night. I felt like I was living a nightmare. I cried, begged God to save my baby, to stop the bleeding and let me go back in time to the happy moments of discovering I was pregnant. It was not to be. The next morning, the pain had intensified and while walking into the doctors office I was hit with cramping so hard that I could not make it to the office. I ran to a tiny, dank, sterile bathroom in the lobby and had my baby. It felt like my heart was ripped out of my chest. I did not want to leave that bathroom and face the doctors. Face the evidence of what just happened. My little one had just died. I didn't feel whole anymore and I was not sure what to do about that. The doctors had no explanation for me of why I lost my baby. They could give me no hope that I would not loose another baby. The next few weeks as I grieved, I went through every emotion possible, sadness, emptiness, and anger to name a few. I blamed myself at times, thinking I could have eaten better, should have rested more ect. I tried to find an explanation for what happened, anything to give me some peace. Eventually I just shoved the hurt, pain, anger and sadness down deep inside of me. I was going to forget about it. My faith in the Lord is a huge part of my life and sadly my anger about what happened was then directed at Him. I didn't understand why He could have let that happen to me. I didn't want to deal with my emotions and those emotions caused me to look at Jesus through a filter of bitterness. I didn't let the Lord heal me because to do that I knew I would have to face the emotions I had shoved deep down in me. Month's past and even though I looked put together on the outside, my heart was still bruised. 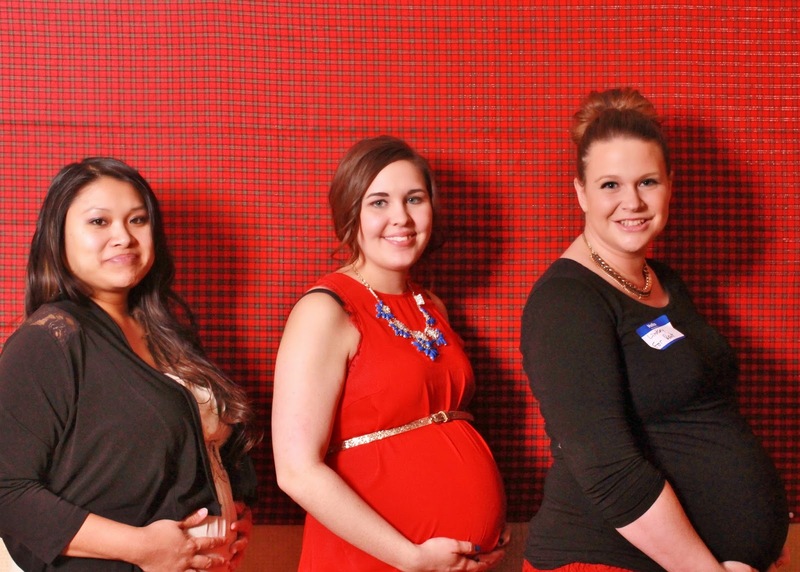 I had a hard time being around people who had babies or pregnant women. I would hear soon to be moms talk about how hard their pregnancy was or that they could not handle being sick anymore. It was selfish of me but I wanted to scream at them that I would given anything to be in their same place right now. It did not seem fair. My husband and I had decided to try to have another baby. What we went through, caused us to have a longing to be parents and start our family again. But it was not happening. I could not get pregnant and even my doctor said that my chances were not high. Month after month of trying and not getting pregnant caused me to want to give up completely. I was done. Done trying. Done with feeling disappointed. Just plain done with everything. The following year, I came to a place in my life that I was tired of fighting back the emotions and disappointments. I remember yelling at God in my car one day that I couldn't do this anymore. I was tried of fighting and I needed rest. In that moment I felt His peace settle around me and I could not fight back the tears anymore. I sobbed and let His love wash over me. I felt free of the burden I has been carrying. I will never forget what I went through but I no longer felt like I was weighed down with hurt, sadness, anger, depression and bitterness. I felt like I was really able to move on. 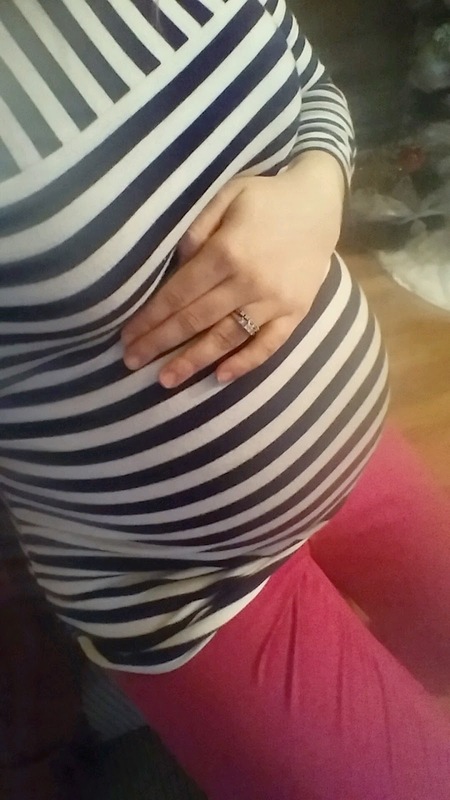 A few months later in July of 2013, I found out I was pregnant again. I was thrilled but was not going to make the same mistake of getting overly excited to soon. In a way I felt jipped by what had happened to me before. 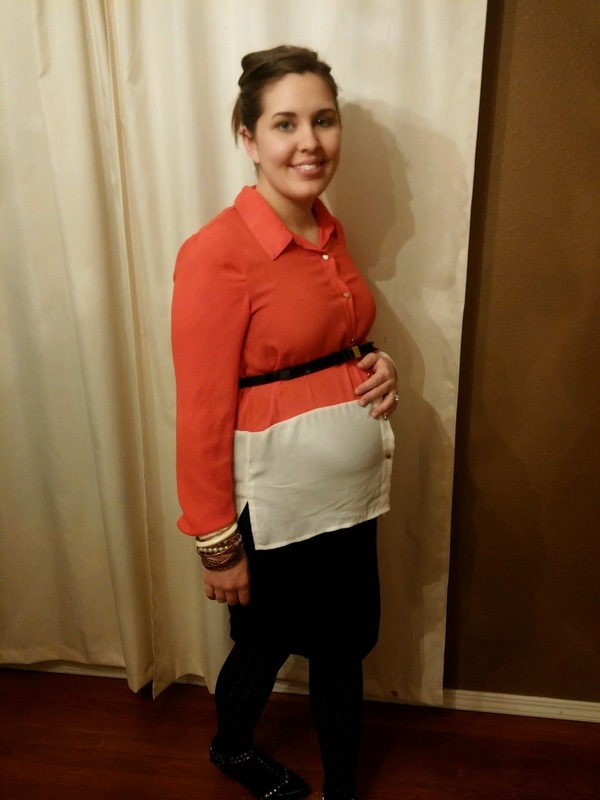 I didn't feel like I could enjoy being pregnant because I was constantly worried about something happening again. I went to my first appointment nervous as all get out but was relieved to see the heart beat on the ultrasound we had. Even though I had a prior miscarriage, the doctor did not consider me high risk, so I was going to have normal doctors appointments. My next appointment was scheduled when I was supposed to be 12 weeks. 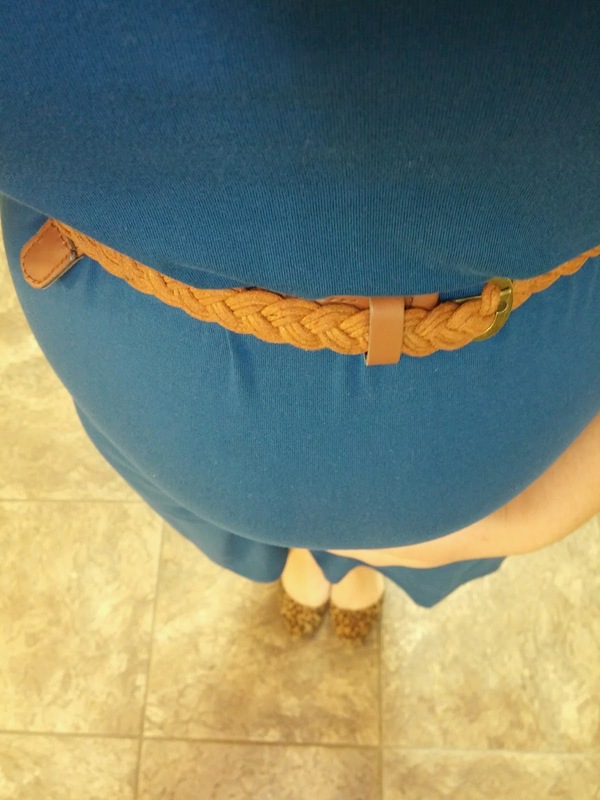 With this pregnancy, I was feeling like I read you are supposed to feel each week. As the weeks leading up to that appointment rolled by and everything seemed fine, I let myself relax more. The day of my appointment dawned and I was so excited. I could not wait to hear that our little one was healthy and growing. I remember laying on the bed in the doctors office with the doctor putting the ultrasound doppler against my stomach so we could hear the heart beat. She moved it all around and we did not hear anything. She ordered a ultrasound for me and told me not to worry because sometime its hard to detect the babies heart beat on the doppler. I started to get a sick feeling in the pit of my stomach. They took me over to the ultra sound room. As the tech began, she started asking me all sorts of questions about how I had been feeling, had I been spotting ect. I told her no, and that I had been feeling fine. I tried to ask her questions about the baby. I saw our baby on the screen but she was quiet when I asked her what was going on. Eventually she turned and looked at me. When I saw the expression on her face, I knew what she was going to say. She told us that there was no heart beat for the baby and that the baby was measuring 8 weeks but should be measuring 12. I went into shock. I couldn't talk for a while, I couldn't move, I didn't want to believe this was happening again. They moved me back into another room and offered me medicine to induce the miscarriage. I became angry, telling the doctor I would never, ever take medicine that did that. My husband and I left the office in a fog, got into our car and then we completely broke down. Every emotion I felt before came rushing back and seeing my husband so broken did me in. That evening I was in denial as to what was happening. I wasn't bleeding, cramping and I still felt like I was pregnant. I couldn't be loosing this baby too. I called my doctor and asked for another ultrasound just in case they missed something. They let me come in and brought in a specialist to try and explain what was going on. I was grasping for any small hope they could give me, praying that the first ultrasound was wrong. The same results showed on that ultrasound like I knew they would deep down in my heart. Once the ultrasound was over, the doctor took me to another room and invited me to ask her questions. I wanted to know what she would do if I got pregnant again, how was she going to help me. Her answer blew me away and in my grief/anger I walked out of her office knowing I would never be back. She told me that she would not attempt to help or see if anything was medically going on to cause the miscarriages until I had at least 3 or 4 of them. She stated that if I had less then that it was what happened and that I would eventually have a healthy pregnancy. Not only was I facing miscarrying my second baby but I felt betrayed by my doctor. I could not believe someone could even think that way. I had all my information transferred to another doctor that came highly recommended to me and went to see him the next day. He did another ultrasound to confirm the results that there was no heartbeat and there still wasn't one. He gave me medicine for the pain and said that my body should take it's natural course and I would miscarry the baby in the next few weeks. The next week was one of the hardest I had been through. I felt fine but knew I was going to loose my baby. 10 days after that initial appointment, I lost my second baby. I remember laying on the bathroom floor the day it happened, not able to shed another tear, weary and feeling like all my hope had drained out of me. I didn't know how to move on from this again but knew I had too. Time would have to heal me because I decided to not care anymore. I gave up on having kids. I decided that I would rather not have kids then go through loosing one again. I put on a brave face and tried to move on. This time around I felt like it was harder to suppress the emotions that come with loosing your baby. In part this was due to the fact that my sister in-law and one of my best friends were pregnant at the same time as I was. They were just a few weeks apart from me. Our due dates had all been within weeks, even days of each other. 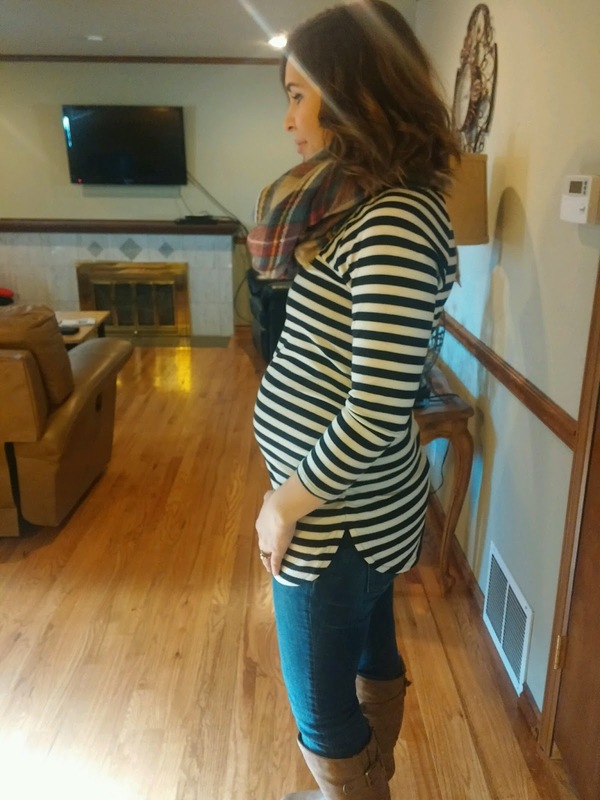 I was a roller coaster of emotions because while I was overjoyed for both of them, it was hard to see all the milestones they hit being pregnant that I knew I was supposed to hit as well. During the months that followed I would have moments were I wanted kids again but I would tell myself not stop thinking about it. That I should not wish for something I wasn't meant to have. I did not want to get my hopes up only to have them smothered again. In my heart I think I knew this was wrong thinking but it was really how I felt. I would be lying to you if I told you otherwise. As 2013 rolled to a close, I was ready for a fresh start. As I mentioned, I had been dealing with hopelessness after loosing the baby. I wasn't depressed by any means, I just felt dejected. As the year 2014 started, I started having tons of people give me encouraging words and just speak life into me about my hope being restored. People who had no idea what I had been through and what I was feeling. To say I was emotional about this would be an understatement because I knew the Lord was out to restore my hope. I was confident He placed those people in my life in a time I really needed to hear the things they said. Slowly throughout the spring and summer of 2014 I started to feel restored again. I felt like this season of grief in my husband and my life was drawing to a close. There was nothing magical that happened that caused me to think that, just a deep down feeling that something was changing. 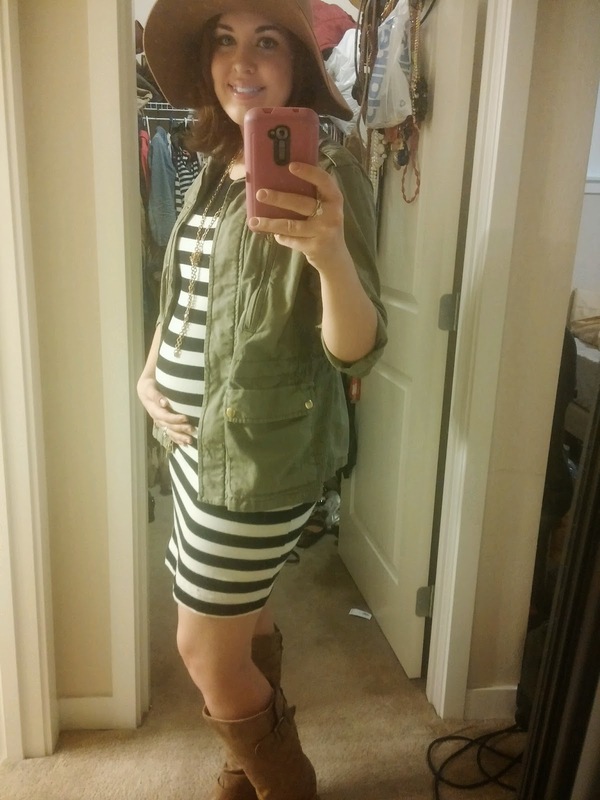 In June of 2014, I decided to take a pregnancy test due to feeling "off" for a while. I honestly didn't think it would be positive so I wasn't worried about it, I just wanted to know FOR SURE I wasn't pregnant. Well, it turns out I was. I didn't know how to react this time around. Past feelings of insecurity jumped up in my mind, excitement and a plethora of other emotions. We didn't tell anyone but our doctor. The first doctors appointment went well because he told us he thought he might know why I lost the other babies. He was able to put me on medication and he saw me every week. 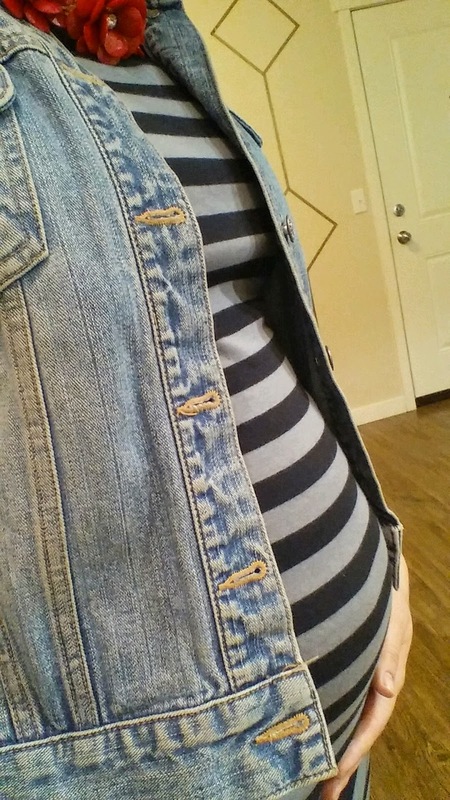 As each appointment came, I would get myself worked up because I was so nervous to have that ultrasound done. Every week, our baby was healthy. 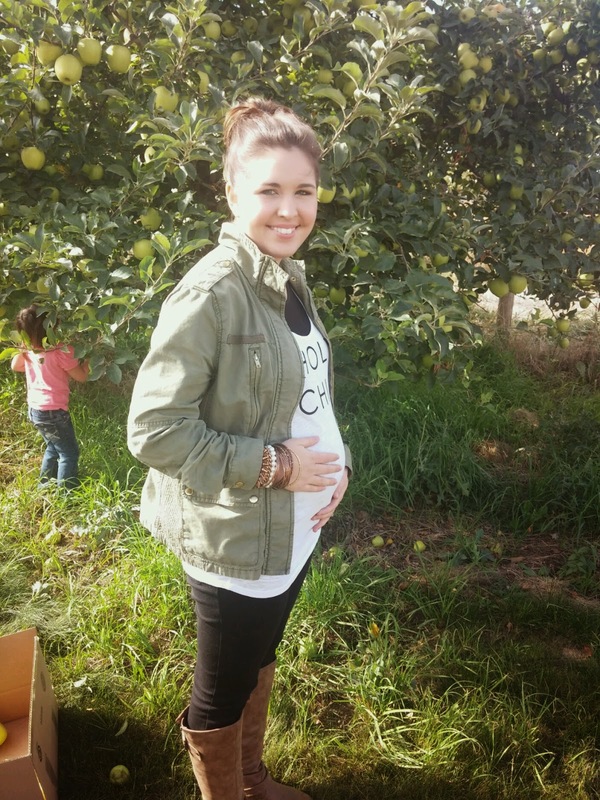 The first trimester passed with the baby doing fine! It felt surreal to me. Every week seeing my baby's heartbeat felt amazing, is amazing!! 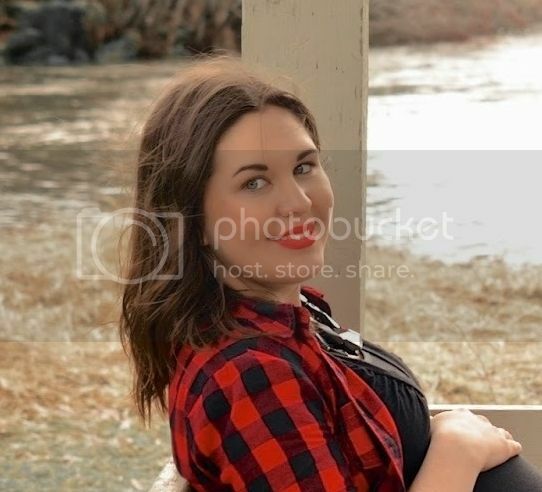 So now I sit here writing this and I am 30 weeks along with a healthy and beautiful baby girl due March 9th! This is a major part of why I have been MIA over the last few months. My doctor has been watching me very carefully and so I have had many, many appointments. I wanted to write this because I am real life proof that if you are going through a hard time or season in your life that feels like it won't end, there is hope in the mist of it. I felt so hopeless but the Lord has restored that hope in my life and blessed us with a beautiful little girl. Even through the ups, downs and emotions I went through over the past few years, looking back I see all the good that has come out of it. In the mist of your storm don't loose sight of that. There is a hope that heals amidst the darkness. If you stuck with me through all of that thank you. Thank you for letting me share my story with you. 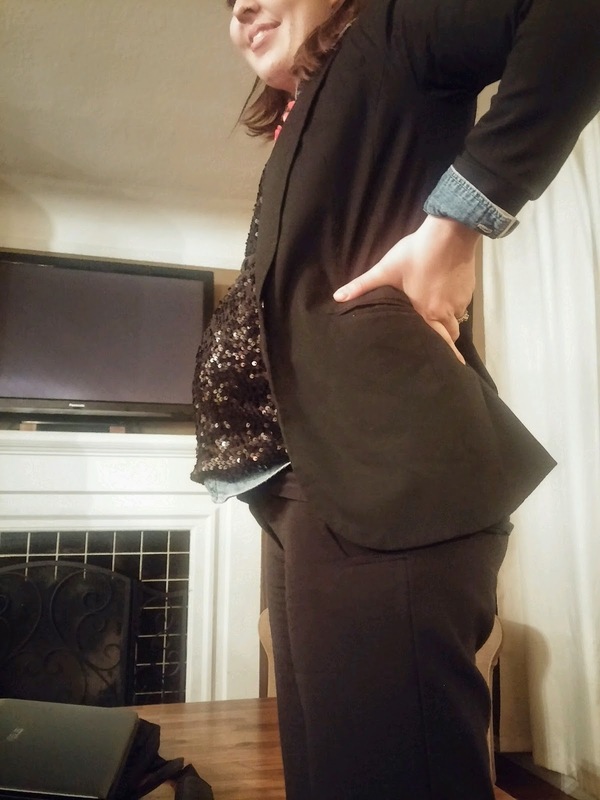 Now for some photos of the bump! And I promise next time it won't be as heavy of a post:) We will stick to some thrifted fashion! I hope you all had an amazing 2014 and are excited for the 2015 year! I know I am beyond excited to meet my little girl!